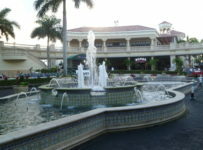 The Gulfstream Pak summer meet is headed into its final ten race days. That will include five straight race days from this Wednesday through Sunday. *Wednesday â€“ 10 races with first post of 1:15 p.m. This was not part of the original schedule. Gulfstream added it to help make up for seven race days it cancelled due to Hurricane Irma. Nine of the ten races are claiming races. 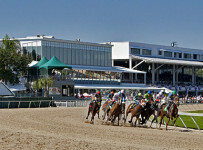 The other race is a $53,000 maiden special weight race for 3-year-old fillies. 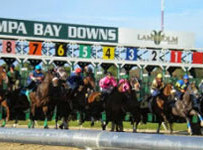 The Rainbow 6 carryover is $16,424 on races five through ten. *Thursday — Ten races with first post of 1:15 p.m.
*Friday — Nine races with first post of 2:15 p.m.
*Saturday — Entries will be out late Wednesday afternoon. *Sunday — Entries will be out late Thursday afternoon. The Condition Book shows no stakes races.